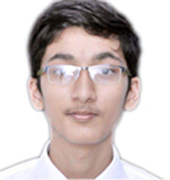 Suryansh Pratap Singh, an outstanding Class X student of CMS Gomti Nagar (Campus I) won the title of Grand Prize Winner in the 'Google Code-in' contest organized on an international scale. 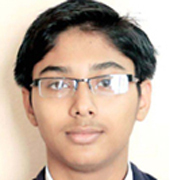 Google has invited this talented student of CMS, for his achievement to visit USA on a four-day educational trip. Suryansh will be visiting the world famous Google premises in California, USA, to meet the world class engineers and will also visit San Francisco city. 'Google Code in' (GCI) is a world level competition of computer software development for the pre university students. Utkarsh Shukla, an alumnus of CMS Aliganj (Campus I) is playing soccer in Barcelona for the Marcet Academy there. He can play in the junior league in Spain when he turns 18. Football has been a passion for him. Earlier, he had been playing for the SU Football Club in Lucknow. Apart from the gruelling schedule of football, he is also trying to be fluent in Spanish and the Catalan languages. He is confident of getting an extension to the one year scholarship from the academy in Spain. Utkarsh visited the CMS Aliganj (Campus I) on 13 May 2016 and shared his experiences with the students here. Atul Kumar Jaiswal, a highly talented player of CMS Kanpur Road was selected for a 16 day cricket training in England during which he played in several matches. 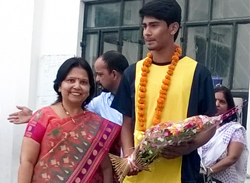 Atul competed with 700 aspirants of Uttar Pradesh and was among the 70 short listed players. Later he was selected among the final 15 players selected for the coveted England tour. An alumni of CMS Gomti Nagar (I) and Jopling Road Campuses, Anshulika Dubey has found place in the Forbes list of Top 30 Under 30 Brightest Young Entrepreneurs released on 25 February. Co-founder and COO of India's first crowdfunding platform for creative projects, wishberry.in., Anshulika Dubey is one of the four Indians under age 30 who have made it this year to get into this extremely prestigious Forbes List. Rajul Gupta, an alumnus of CMS, Aliganj Campus (I) currently working for City Bank in Singapore, secured the third spot in the world finals of the much acclaimed Hackathon contest 'Battle Hack' along with two other members of his team. They were among the 14 teams from across the world who had participated in this international competition. Rajul was selected to study in Singapore under a scholarship programme in 2007. At the Battle Hack, their team created BithHive, a smart network app to widen internet access in developing countries and remote locations. 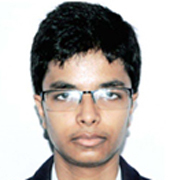 Shivam Saxena an alumni of CMS Aliganj (Campus I) has received an offer of staggering 32 lakh rupees per annum from a leading Japanese firm 'Work Applications'. 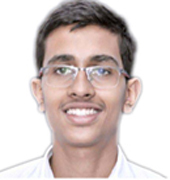 After completing his school education at CMS Aliganj Campus (I), Shivam joined the National Institute of Technology (NIT), Jamshedpur to study computer science and engineering. 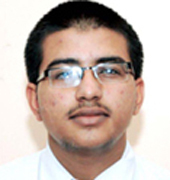 Shivam will join the company in October 2016 and will be posted in Singapore. 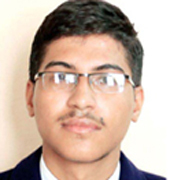 Manas Dixit, a brilliant Class XII student of CMS Aliganj (I) bagged the bronze medal at the International Finance Olympiad. The Olympiad was co-organized by Eduheal Foundation and Bombay Stock Exchange Ltd. The grand finale comprised 108 students who had made it through the first and second round of the Olympiad. The stakes being high, Manas clearly performed outstandingly well, securing the bronze medal along with a certificate and a cash prize of Rs. 8000/-. To encourage the young talents in economics and commerce, CMS organies International Convention on Economics and Commerce every alternate year. 2015 67 students of class XII Rs. 2 crore 56 Lakhs to pursue higher studies in Science. Garima Singh, a bright student of CMS Station Road won the prestigious DBT Biology Scholarship of Government of India. She was awarded a gold medal, a certificate and a cash prize of Rs 20,000/- by the Ministry of Science and Technology, Department of Biotechnology for exceptionally high achievement in Biology/Biotechnology in the ISC Examination 2015.